It could almost be an idea for a trashy reality TV show. Get eight musicians confine them to a country house and set them the challenge of writing some songs that they would all perform live together a week later. Oh, and the musicians would all be folk musicians and the music would be inspired by the music and personalities of the Elizabethan era…. In some ways I was wondering what I was letting myself in for when I saw this advertised. But catching sight of the line-up of musicians involved I had little doubt that it was going to be something worth watching. And it was. An absolutely stunning evening. I can’t pretend I know much at all about sixteenth century music. But anyone thinking an Elizabethan session was going to involve an evening of twee songs about Merrie England, perhaps performed in the style of the theme music from Blackadder, would soon be disabused by the first song. Shores of Hispaniola, a haunting but beautiful song reflected on Elizabethan England’s gruesome and sordid involvement in the early transatlantic slave trade. Remarkably, we were told, Nancy Kerr had the thing written before breakfast on the very first morning, following a talk to the musicians from an esteemed Elizabethan historian the night before. 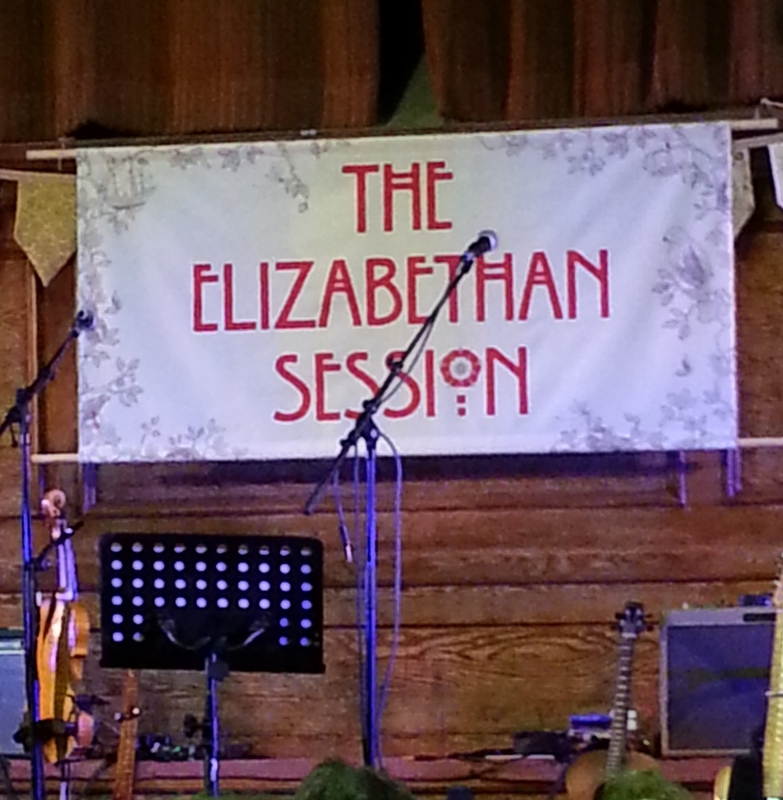 The Elizabethan Sessions project was initiated by those behind the Folk by the Oak folk festival working with the English Folk Dance and Song Society. They brought together an amazing line-up of established and up-and-coming artists: Martin Simpson, Nancy Kerr, Jim Moray, Bella Hardy, John Smith, Hannah James, Rachel Newton and Emily Askew. A packed out main hall at Cecil Sharp House was there to see them. As well a great collection of new songs, including ones evoking Shakespeare, a “feminist sea shanty” and Martin Simpson’s beautiful song about “brawling, murdering, gay, atheist playwright” Christopher Marlowe’s untimely death in a Deptford bar, we also got some amazing instrumentals, too. Early English music specialist, Emily Askew, brought out and played a weird and wonderful collection of Elizabethan-era instruments throughout the evening. It was incredible to think that a week before the performance at Cecil Sharp House none of these songs or tunes even existed. But hearing them for the first time and ordering the soon-to-be-released live CD of the sessions immediately after the show, I do know that the music performed tonight was going to become just as familiar to me over the coming months as the songs from another recent stunning folk collaboration, the Full English, have become.